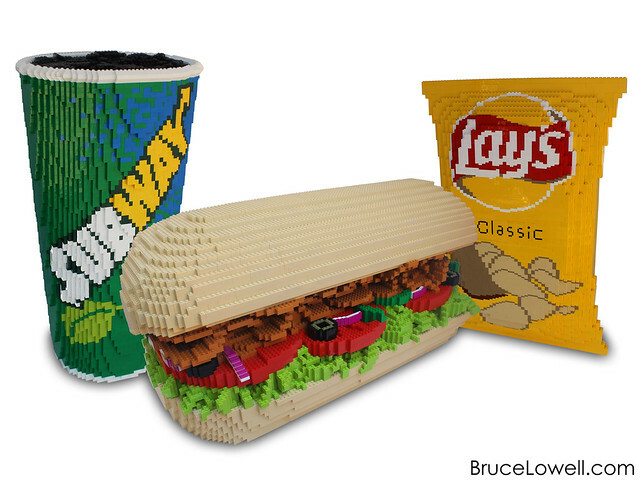 Last summer I was commissioned by Lay’s® to make a sculpture of a Subway® meal consisting of a 6″ sandwich, a fountain drink and a bag of Lay’s potato chips to celebrate the two companies’ 50 year partnership and to be unveiled at an event in Las Vegas, NV. 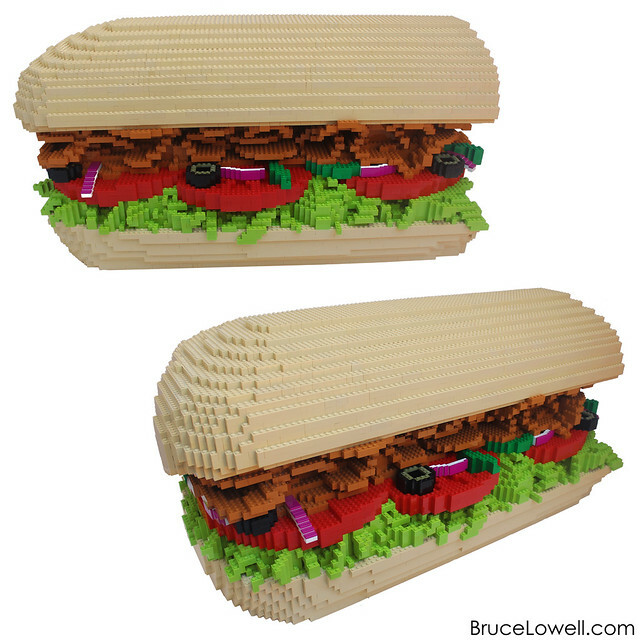 The sandwich measures 15″ x 36″ and 20″ tall. 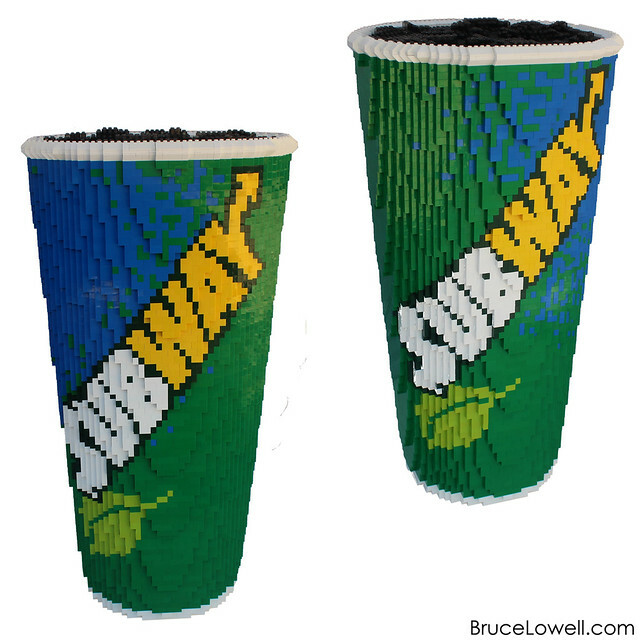 The cup measures 16″ x 16″ and 34″ tall. 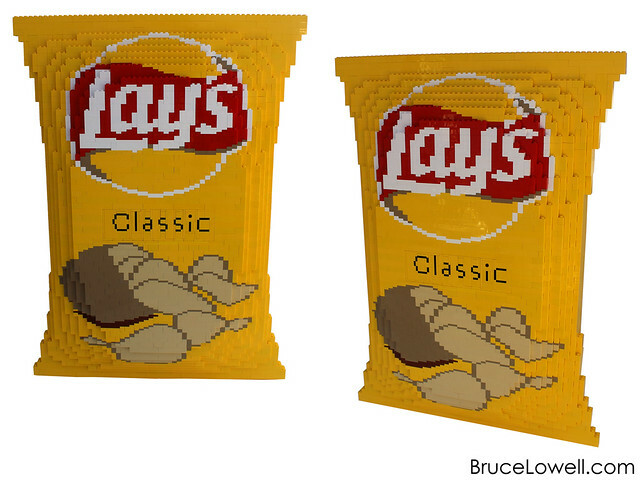 The bag of chips measures 6″ x 18″ and 28″ tall.